I’ll take that job, even on half the offered salary! 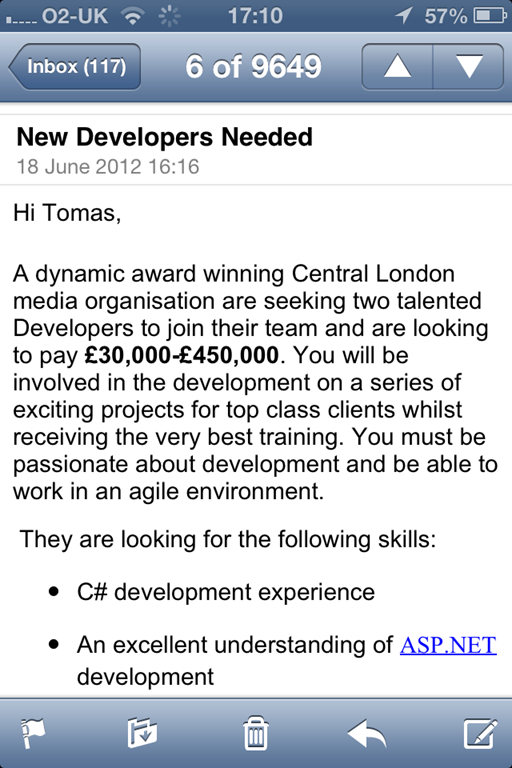 Got this email from a recruitment agency the other day…. Even half the offered salary would be fantastic!